Target has a week-long "Fun Run" sale starting Sept. 16. For savvy shoppers, Target runs could be a little more "fun" this week. The retailer kicked off a weeklong "Fun Run" sale Sunday, featuring Cartwheel promotions and a discount on a Shipt same-day delivery membership. There also are bonus savings and a "surprise offer" for customers who have the retailer's REDcard, Target announced in a news release. Those who apply and are approved for a new credit or debit card during the sale will get a sign-up bonus. The sale goes through Sept. 22. 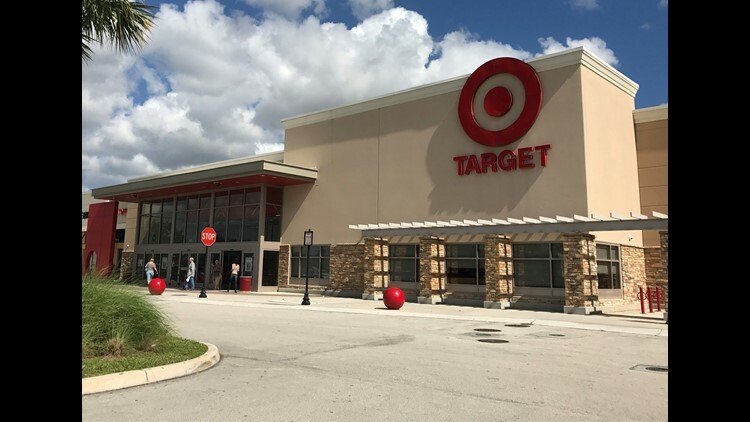 "The new Target Fun Run sale showcases some of the services that make shopping – and saving – easy at Target, including Cartwheel, Target REDcard and Shipt same-day delivery," the company said in the release. Cartwheel: Target says its most popular Cartwheel promotions will be available for an entire week, including "guest favorites like 20 percent off select home, apparel, food, health and beauty items and more." Hundreds of additional in-store deals will also be available. Cartwheel offers typically range from 5 to 50 percent off and are available in the Target app. Shipt membership: Save $50 on an annual Shipt membership, which is regularly $99. Find out if Shipt same-day delivery is available in your area at Target.com/Shipt. Existing Shipt members who spend $100 or more on a same-day delivery order during the sale will get a $15 credit on their Shipt account to use on a future order. Bonus offers: Starting Sept. 16, current REDcard holders will get special bonus coupons in the Target app. The surprise savings for Target cardholders is an extra 10 percent off in-store purchases, which is on top of the everyday 5 percent discount. Target says those who apply and are approved will get a coupon for $30 off a future qualifying purchase of $100 or more. Like the Cartwheel offers, the 10 percent discount is only available in the Target app. Exclusions include alcohol, Apple products, clinic and pharmacy, milk, DSLR cameras and lenses, Dyson upright vacuums, gift cards, video game systems and select toys and electronics. A free $20 Target gift card with select baby department purchase of $100 or more. A free $5 Target gift card with laundry and household paper purchase of $25 or more. A free $5 Target gift card with select beverage purchase of $20 or more. Kelly Tyko is a consumer columnist and retail reporter for Treasure Coast Newspapers and TCPalm.com, part of the USA TODAY NETWORK. Read her Bargainista tips at TCPalm.com/Bargainista, follow her on Twitter @KellyTyko and email her at kelly.tyko@tcpalm.com. Sign up for her weekly newsletter at www.tcpalm.com/newsletters.